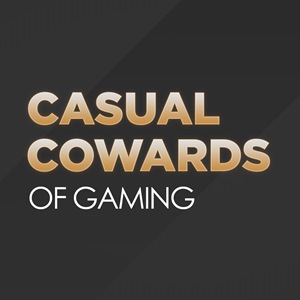 Casual Cowards 43 – There are no Rules!! Well, we’ve come about a year with a half with a certain format and we have realized that it has been preventing ourselves from playing games that are new arrivals or just games that organically pop up. With that being said, we’re just going to talk about our week in gaming and what games that we have individually been playing. There won’t be a specific game we pigeonhole ourselves into, so we have no idea where this is going to go. You know what, this whole write-up thing is taking away from some sort of gaming, so just listen to the episode and enjoy!! Music by DJ Cutman who is AWESOME!! !